Experience The Real Essence of The Wild Atlantic. 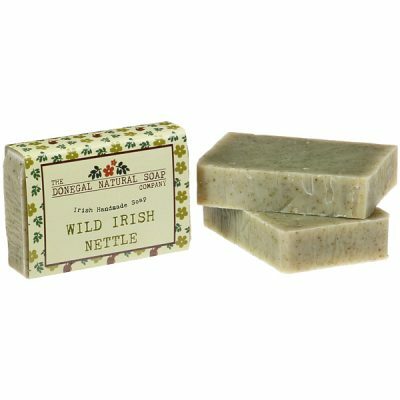 These Handcrafted Natural Soaps Contain Native Irish Atlantic Botanicals. 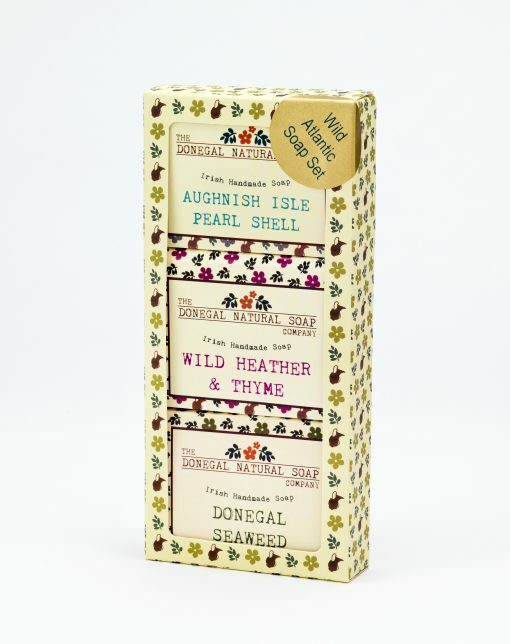 This soap is speckled with Donegal wild heather for an exfoliating and gentle scrub. 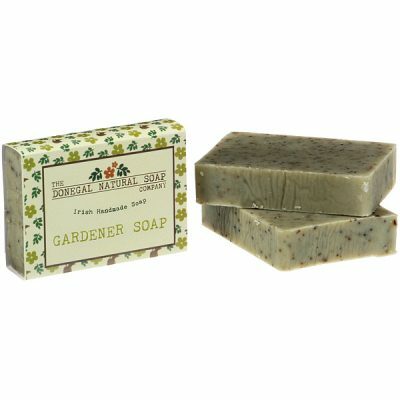 It is scented with Thyme, Sage and Rosemary essential oils for a fresh herbaceous fragrance. Fresh fronds of Donegal seaweed are gathered, slowly dried, and triple-ground to make this superior mineral-rich soap. Borage Seed Oil is added for its amazing skin nourishing properties. 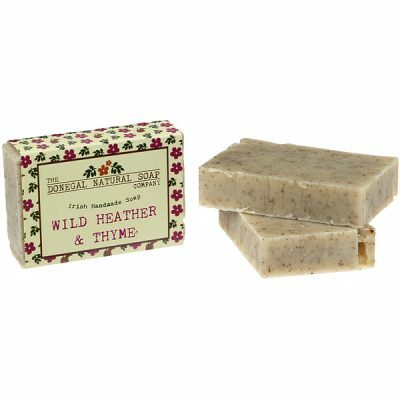 It is scented with Lime and Sage essential oils. 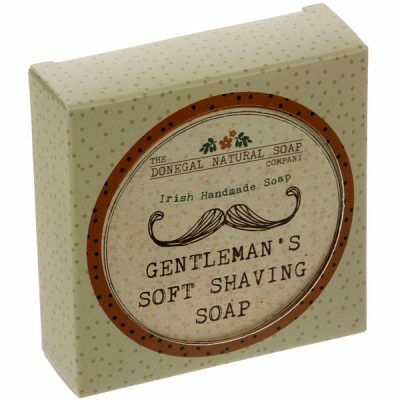 This soap is made with finely powdered Donegal pearl shell (pearl nacre), a highly biocompatible compound shown in studies to contain essential amino acids that heal and maintain body cells. 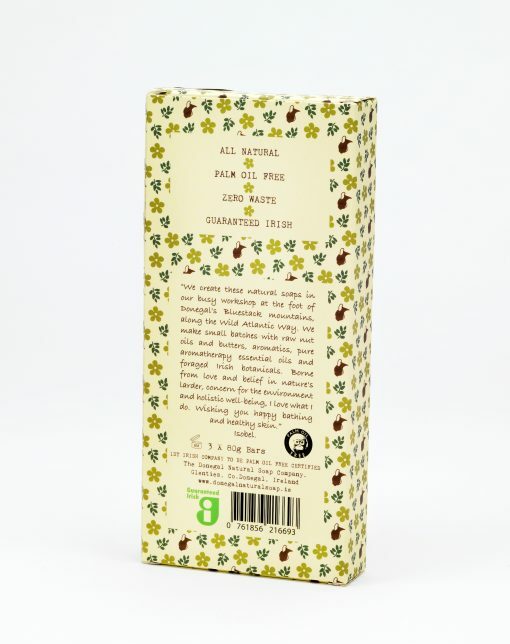 It has mild exfoliation properties and is gently scented with Lavender and Chamomile essential oils.